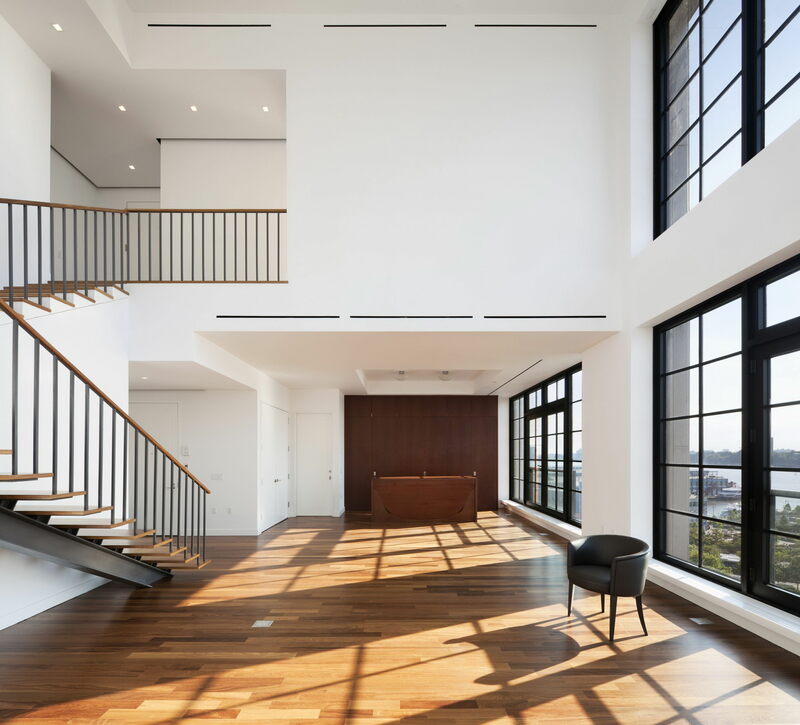 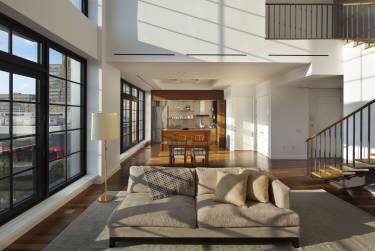 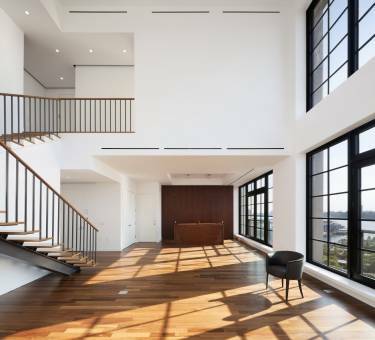 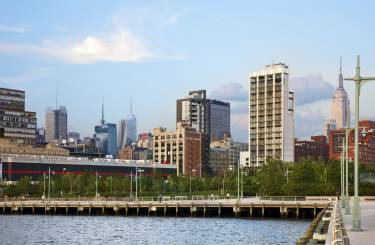 This new 60,000 sf residential building is located in New York’s West Chelsea neighborhood, a former industrial zone and home to many art galleries. 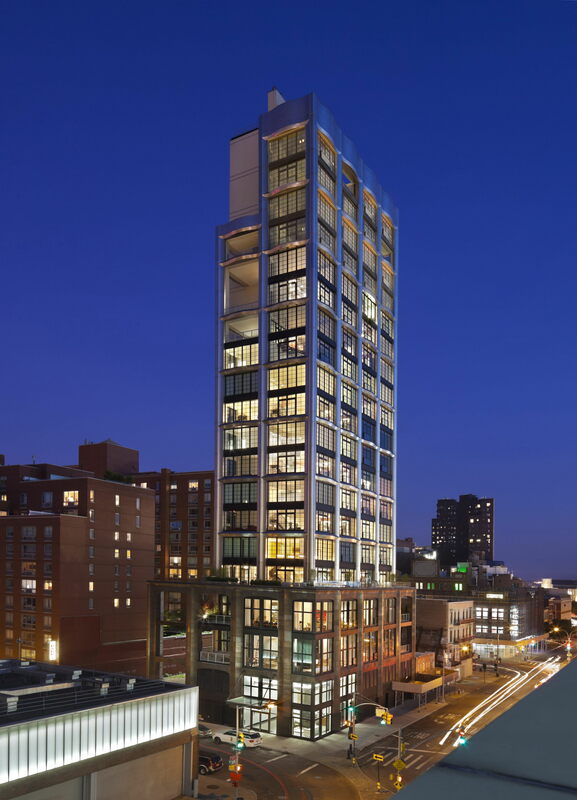 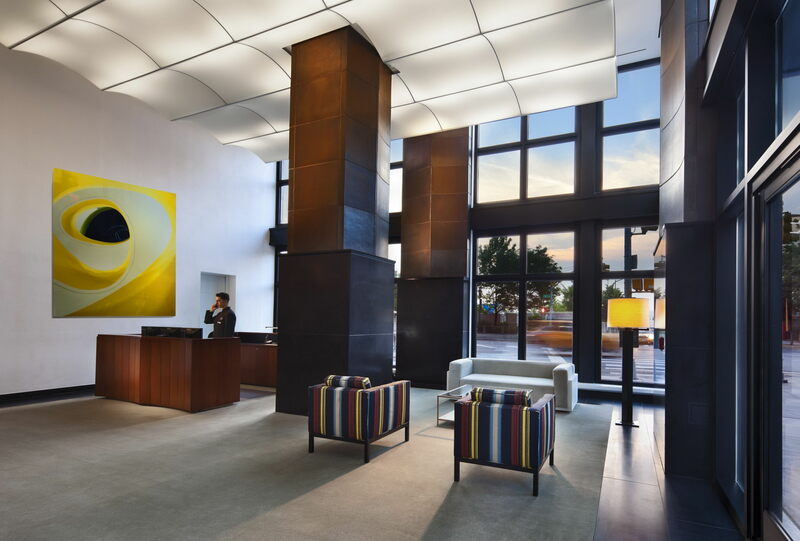 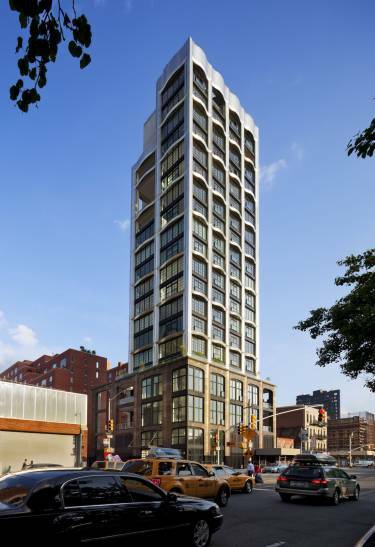 The nineteen-story building makes an iconic contribution to the neighborhood while establishing continuity with Chelsea’s architectural traditions. 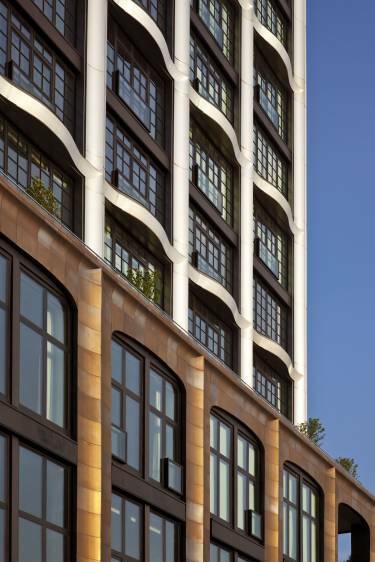 Located at a busy corner with both vehicular and pedestrian traffic the building needed to relate at both scales. 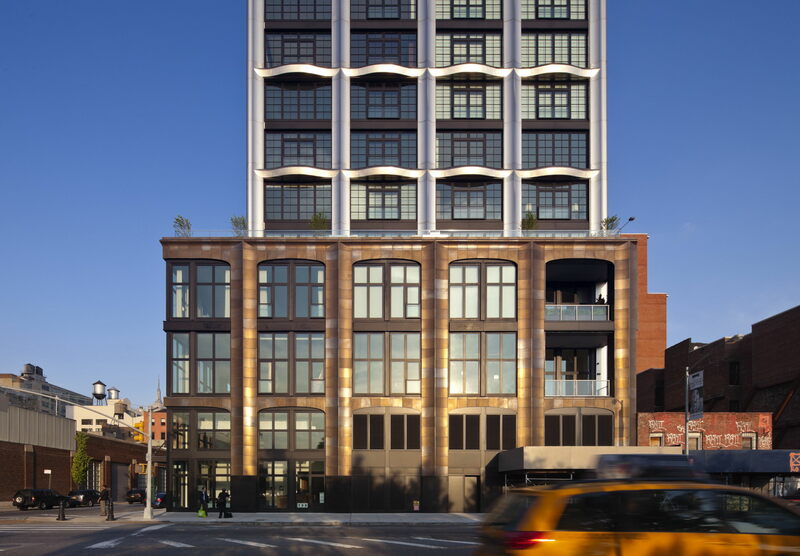 The base anchors the building to its surroundings by reflecting the low-rise scale and through a material palette (terracotta cladding and blackened steel window frames) that evokes the masonry façades and details of industrial Chelsea. 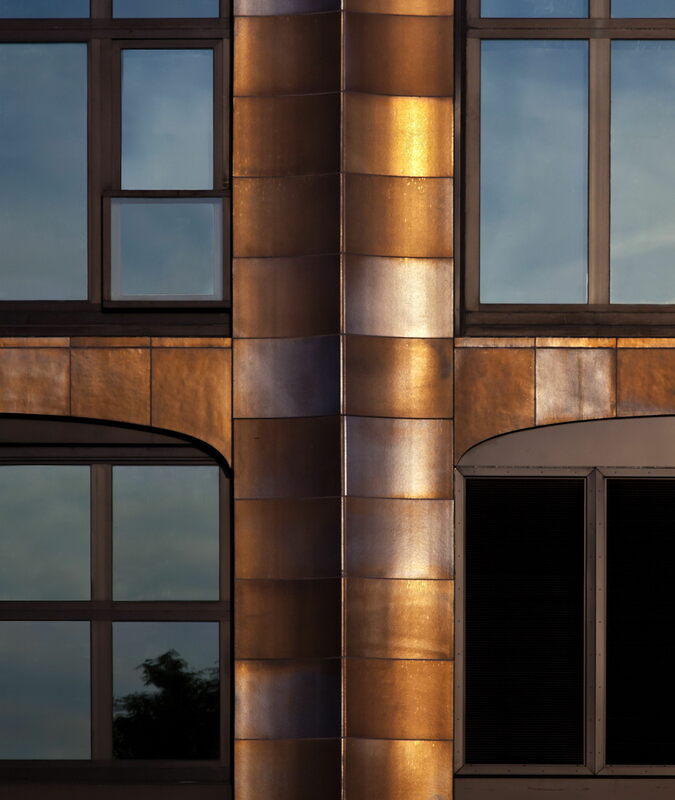 Above the plinth, the tower energizes the neighborhood with a new architectural expression: the metallic sheen and organic form of its custom-fabricated stainless steel rainscreen. The 16 units are configured as duplexes—a strategy which increases building height in order to maximize river views. 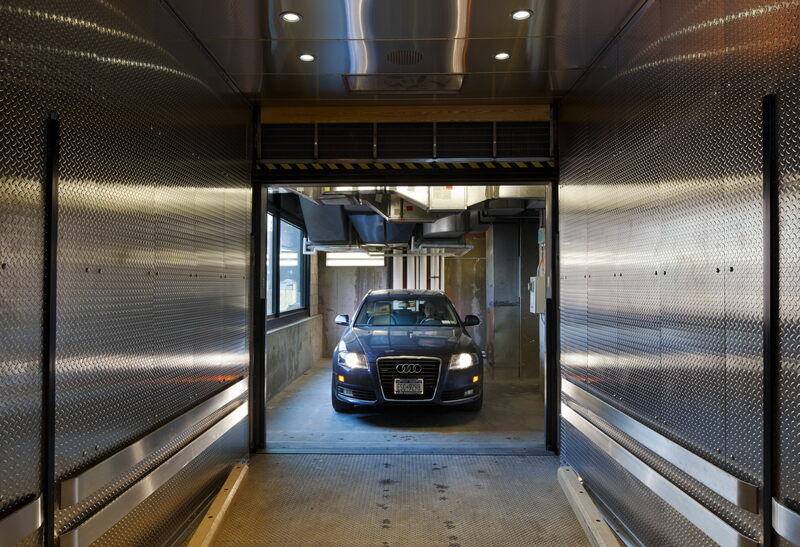 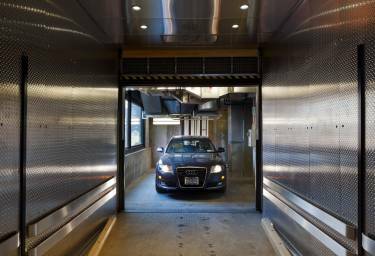 Each unit has the feel of a private home with a double-height living space and a private garage which is served by a car elevator. 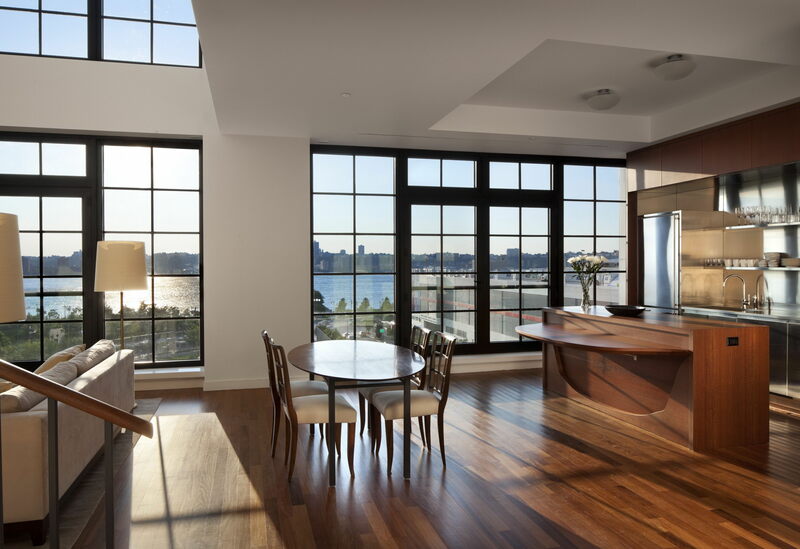 Interiors are modern and flexible – the kitchens can be fluidly integrated with the living area or concealed by teak folding doors that, when closed, reveal themselves as wood-paneled walls. 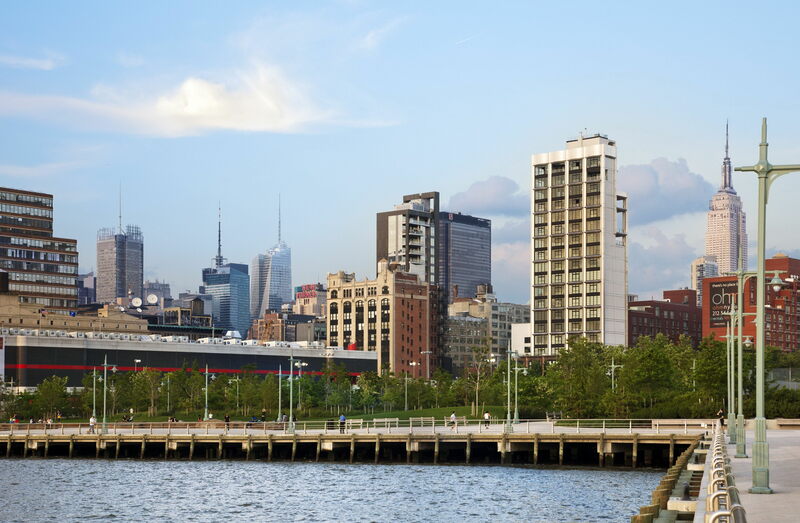 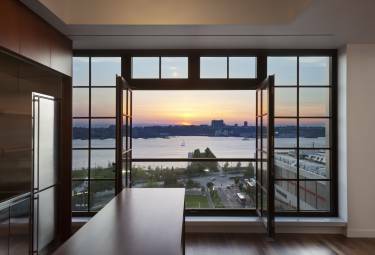 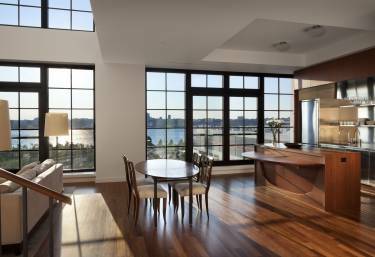 All apartments are afforded open views of the Hudson River which are maximized with full height casement windows.